Taiwanese people are accustomed to be sycophantic to their violent oppressors. The cycle becomes: the KMT (Chinese Nationalist Party) oppresses the Taiwanese people; subsequently, the CCP (Chinese Communist Party) oppresses the KMT. The Chinese colonialists, then, on the basis of all kinds of the sycophantic and surrendering behaviors, turn the oppression cycle into: Taiwanese people being sycophantic to KMT who, in turn, become sycophantic to CCP. 1. A “green” activity to understand Taiwan, cultivate Taiwan, and deeply planting the Taiwanese culture and spirits. 2. 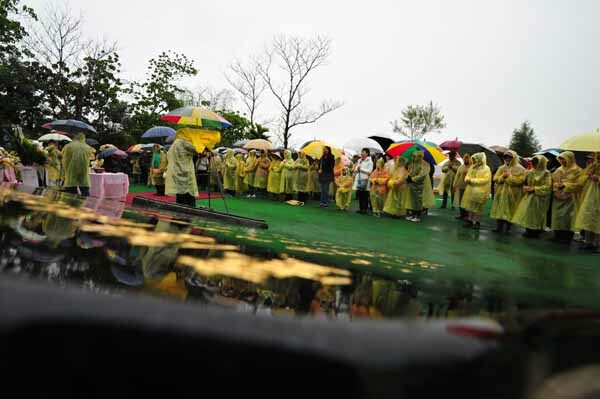 An activity in remembrance and deference to the Great Predecessors who sacrificed for Taiwan. 3. 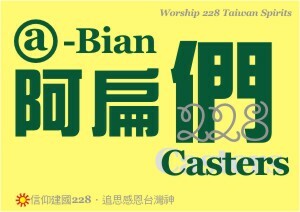 A green movement to empathize with Taiwanese Predecessors’ spirit of sacrifice and martyrdom. 4. The Nation-Building Lecture Series conducted by the Academy of Nation-Building. 5. To build the faith for the nation-building Predecessors by conducting a variety of Holy Mountain Pilgrimage activities. 6. To begin by building the first Holy Mountain-based ecological preservation and educational park, and subsequently using the first experience as the template for national – and eventually, international – expansion so as to construct the foundation for a “nation-building faith” for Taiwan. Gandhi’s spiritual and peaceful Indian independence movement, Israel’s Zionist movement that eventually succeed in building the state of Israel, the close association between state and religion of many Mid-Eastern countries, the US’s May Flower story of early immigrants that eventually become a powerful “faith” that founded the nation, the 16th century English Reformation that eventually gave birth to the entire British Empire and modern England, the spiritual foundation that Japanese derived from their faith in Yasukuni Jinja…..all are highly related to each respective country’s national predecessors. The only exception is the empty and rootless “nationally-based faith” of Taiwan. Spiritual cultivation fashioning after such hollow fundamentalism cannot succeed in turning the faith on Taiwanese Divinities into powerful dynamics for nation building. Such cultivation, undoubtedly, is meaningless. In facing our Great Predecessors, Taiwanese should be seriously introspective. Hung Tzu-yung, second left, and Chthonic lead vocalist Freddy Lim, second right, formally announce their candidacies representing the New Power Party yesterday morning in Taipei. The New Power Party (NPP) yesterday kept to its promise to bring fresh faces to next year’s legislative elections by adding two more political newcomers to its list of candidates — Freddy Lim (林昶佐) and Hung Tzu-yung (洪慈庸).